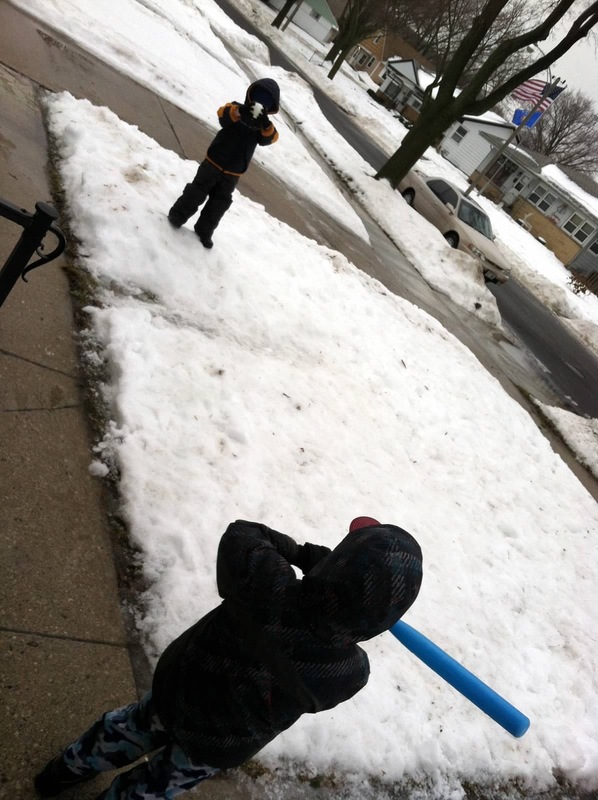 Trains are cool until they’re not, and when you’re six or eight years old the start of spring training seems to be the tipping point. My help is gone, so the work of bringing the Flagstaff Subdivision to life has been solitary. Sure, The Conductor and The Superintendent swoop in between innings to make sure Dad is on task, but when they see wire and plywood instead of trees and locomotives, they’re off again. No matter. It’s a little project in a little hallway and we’d be crawling over each other anyway. I’m content that The Conductor stuck with me long enough to learn some soldering, and The Superintendent tried his hand at the power drill. 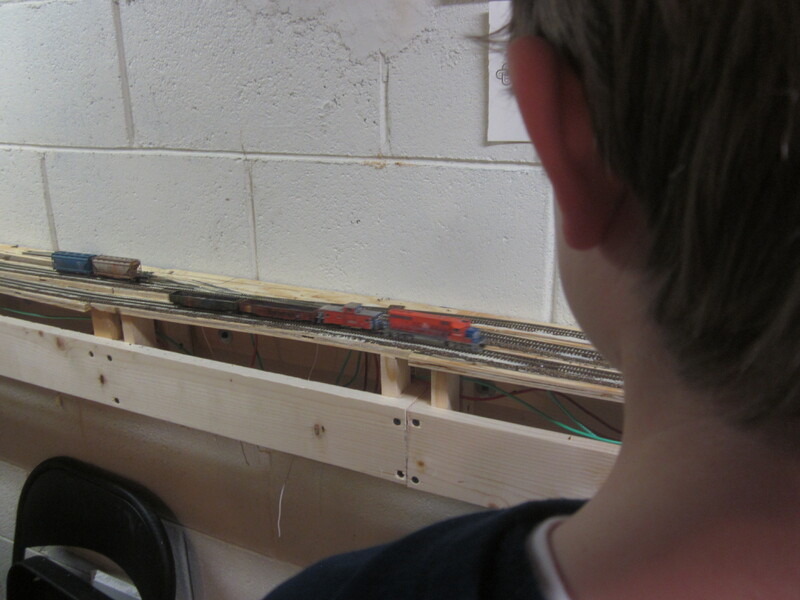 Model railroaders aren’t built in a day. Neither is an 11-foot-by-six-inch switching district, especially when your priority is to be Dad, and Dad is needed to Pitch. Flagstaff is taking shape in fits of 30 or 40 minutes: the track plan in paper and pencil, the benchwork, the sub-roadbed, the frustrating search for Code 55 track. Then suddenly, last Saturday, a train rolled into town. I called upstairs that I had an important moment to share with the family and would they please join me by the layout. “After this at-bat,” they said. The first train to arrive on the Flagstaff Sub was a short maintenance-of-way consist. To my delight it was greeted with applause (The Train Man’s Wife is a generous booster) and before it got underway The Conductor wanted to make sure it included a piece of rolling stock from his collection. A nice touch that assured me he still regards the FCFL with some admiration. Nobody seemed to notice that to give the shallow scene some depth, I curved the mainline and angled most of the industrial spurs so there would be minimal track parallel to the fascia. Nobody seemed to notice the powered turnout frogs, the hidden feeder wires every three feet, the Z-scale roadbed under the spurs to drop their grade a tiny bit and allow the ties to hang over the edges so when the track is ballasted it looks washed out and in need of maintenance. Nobody noticed any of that, but it’s okay. They were there, and I think it was a hit. 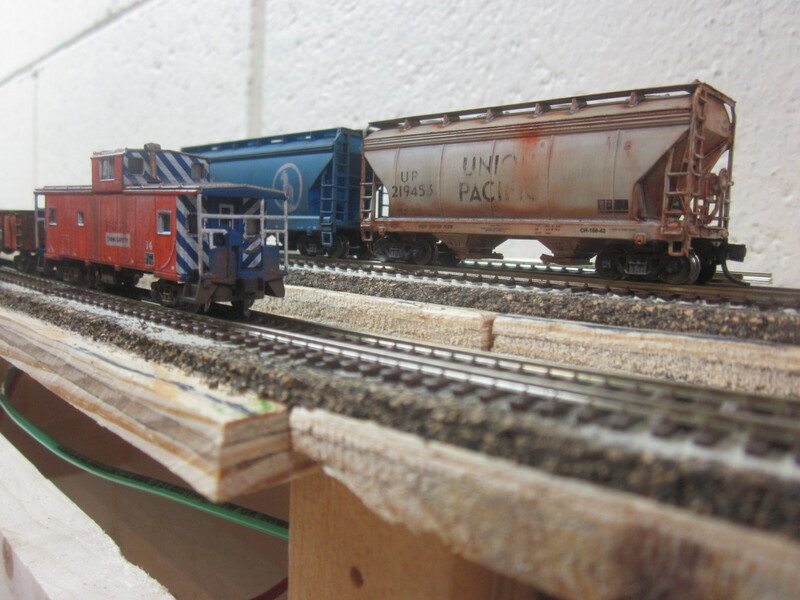 This entry was posted in Uncoupled, Workbench and tagged Baseball, Family, Flagstaff Subdivision, Model Railroading, model railroading projects, model railroading with kids, parenting, Working on the railroad. Bookmark the permalink.